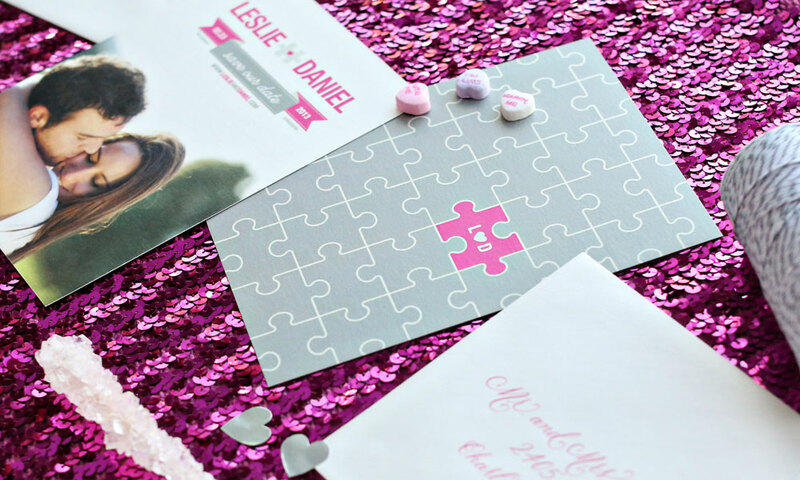 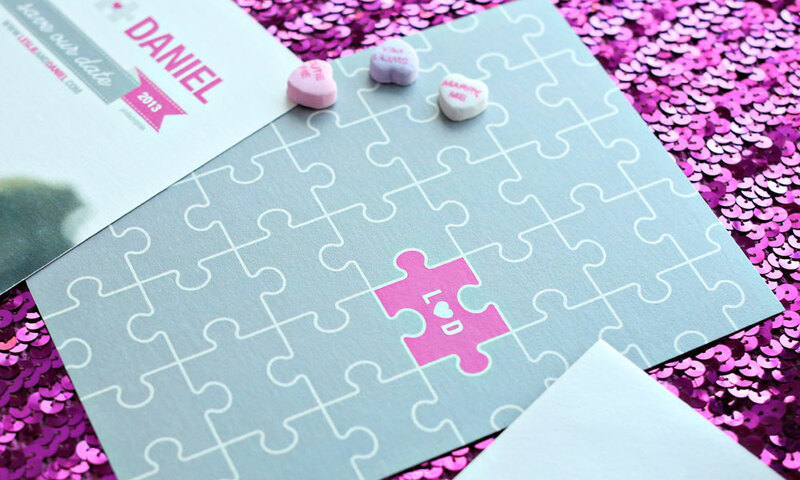 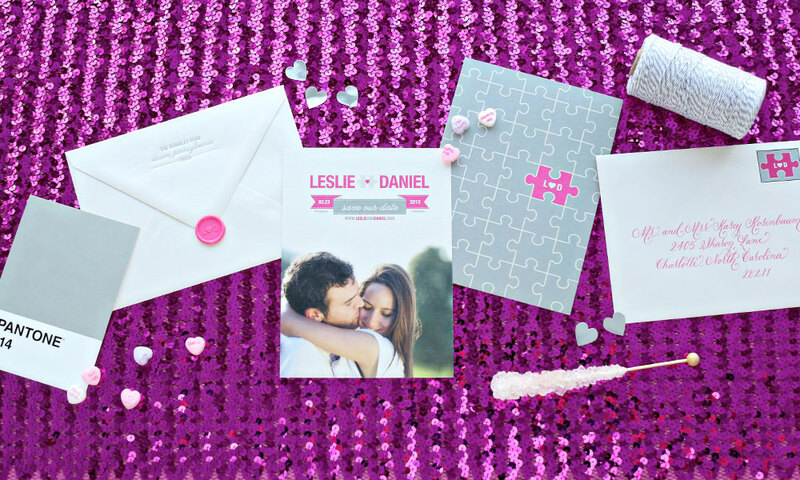 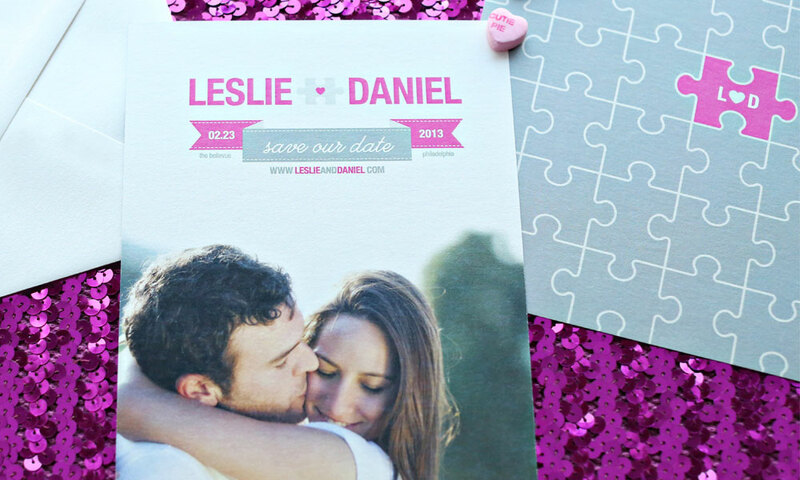 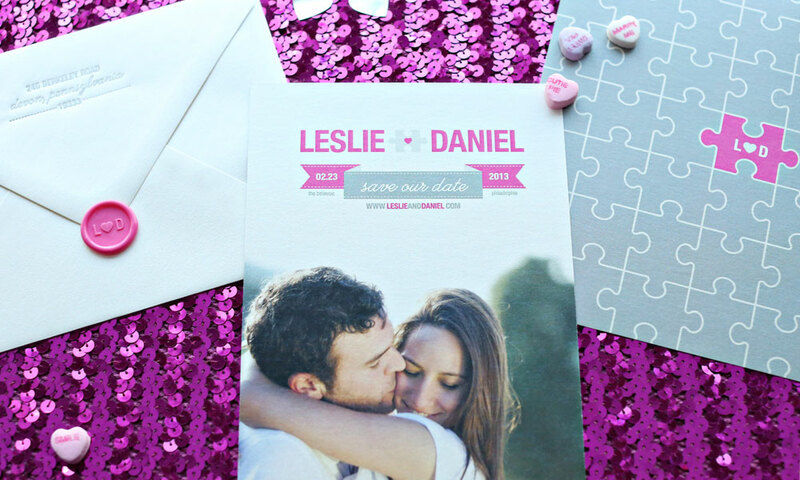 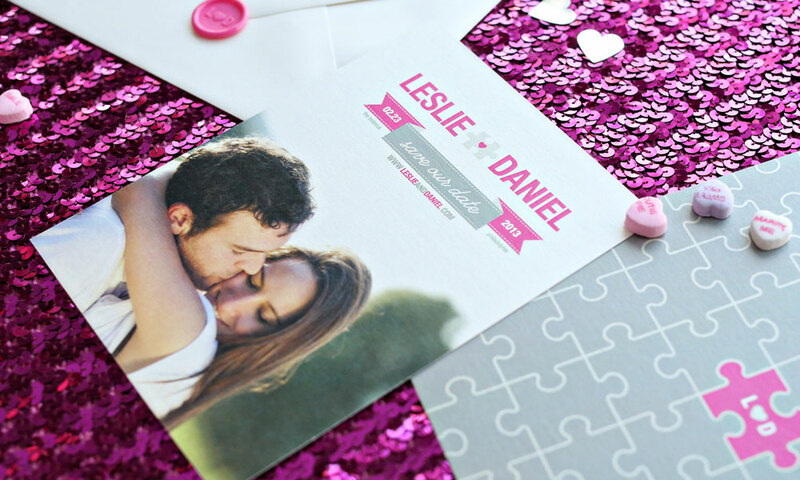 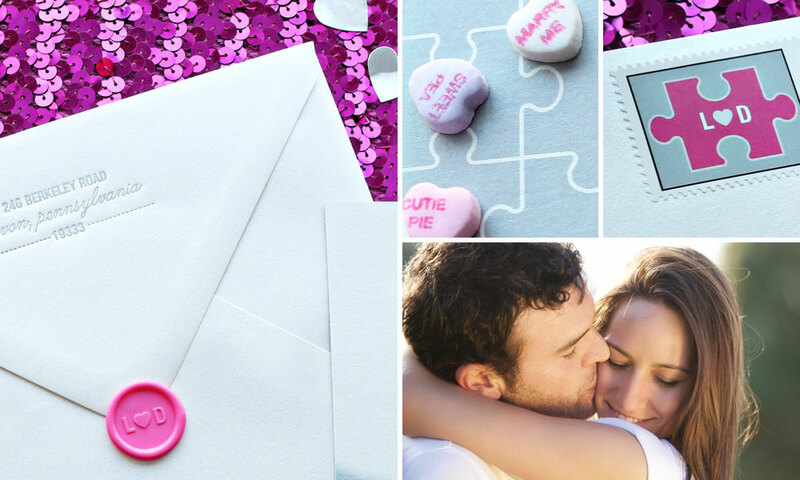 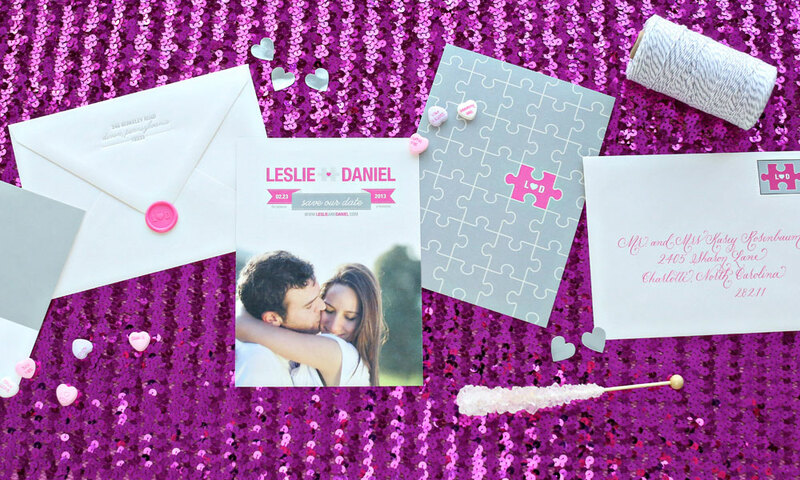 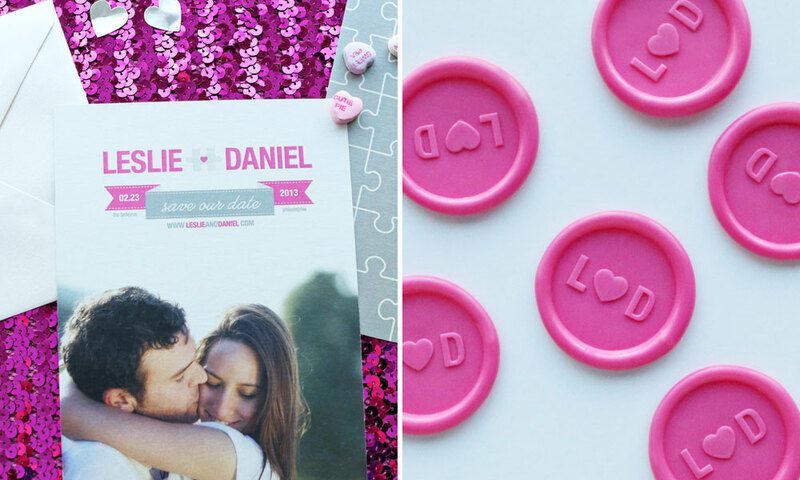 Leslie and Daniel quickly captured our hearts so we decided to showcase the affectionate couple as a perfect puzzle match! 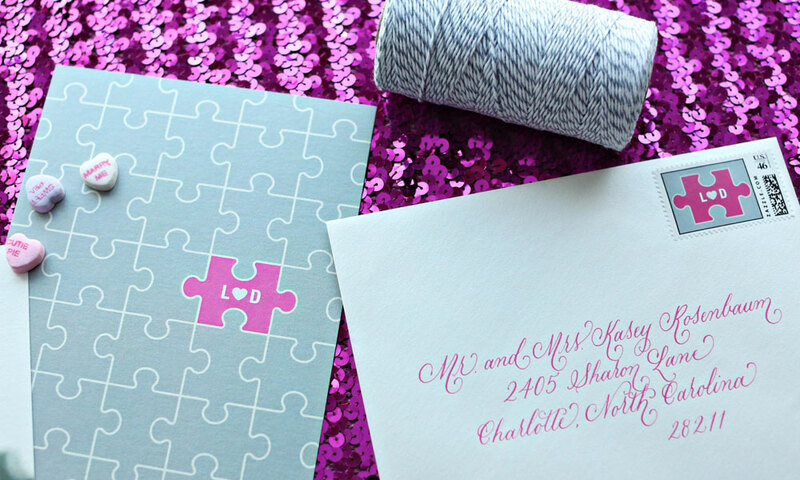 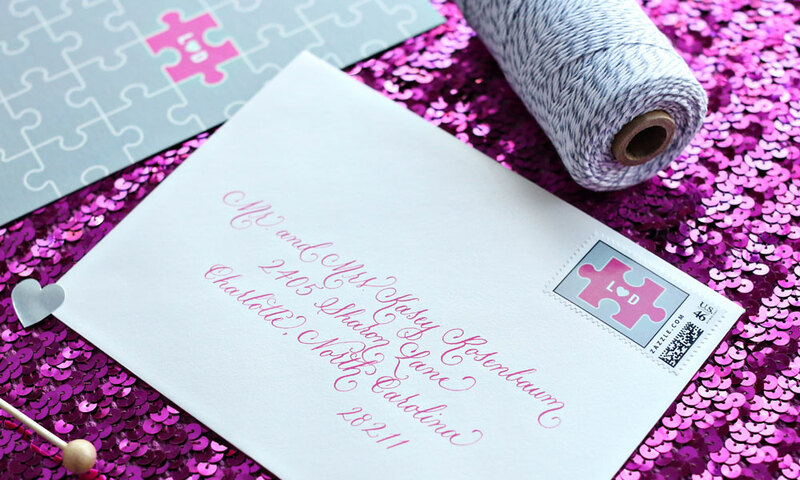 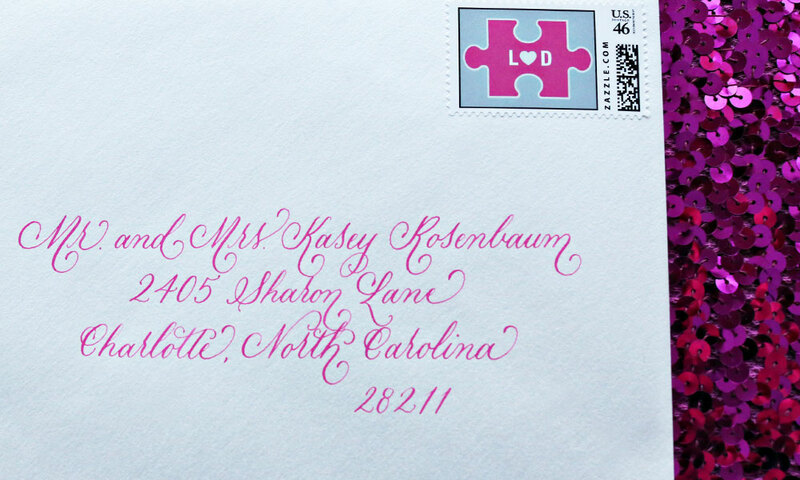 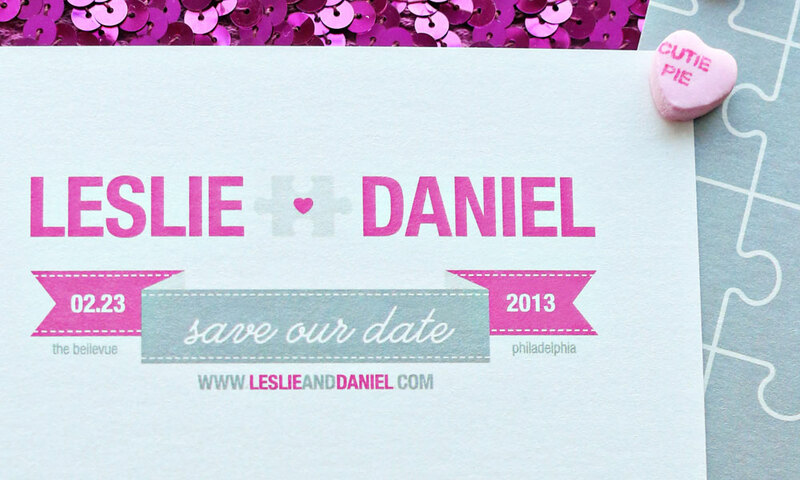 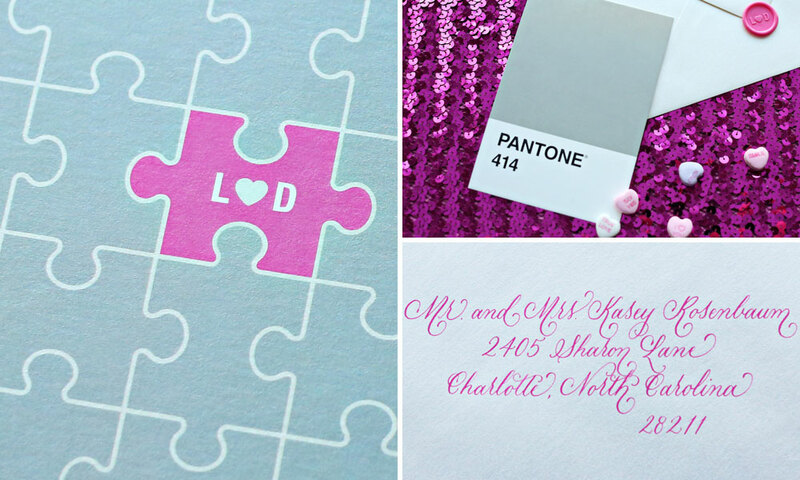 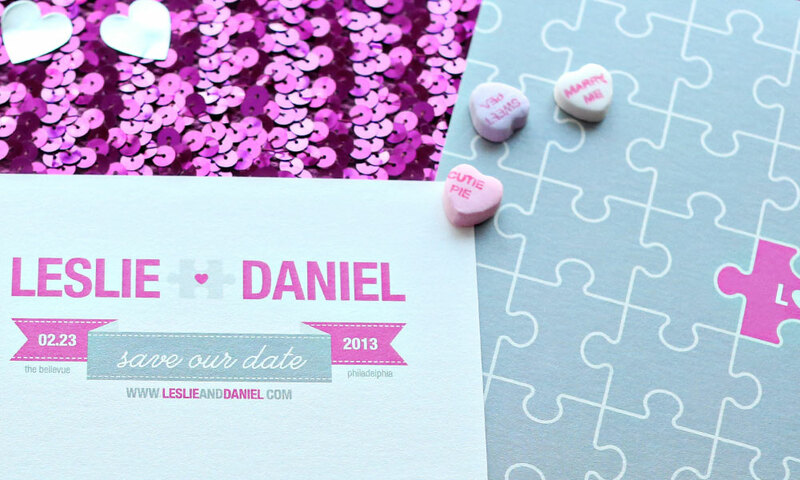 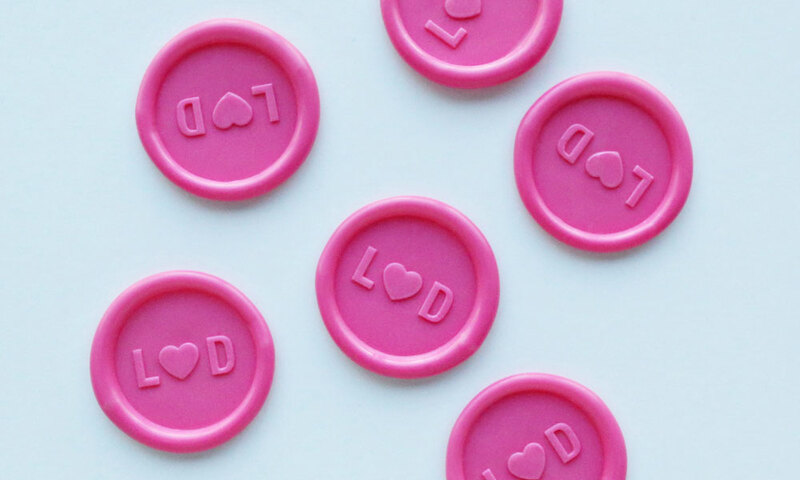 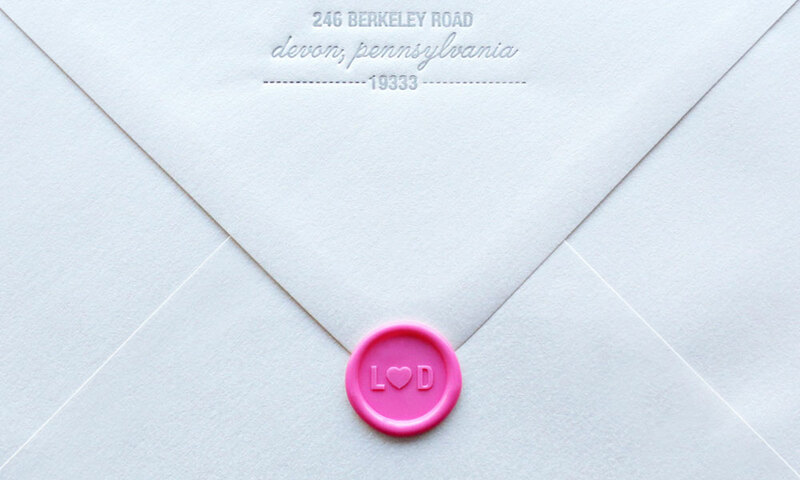 A custom monogram featuring their initials is highlighted on the save the date and on their envelope’s custom stamp. 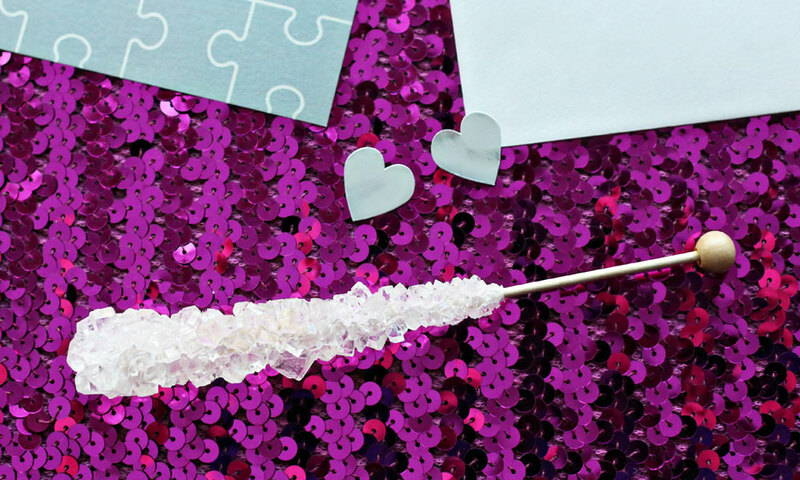 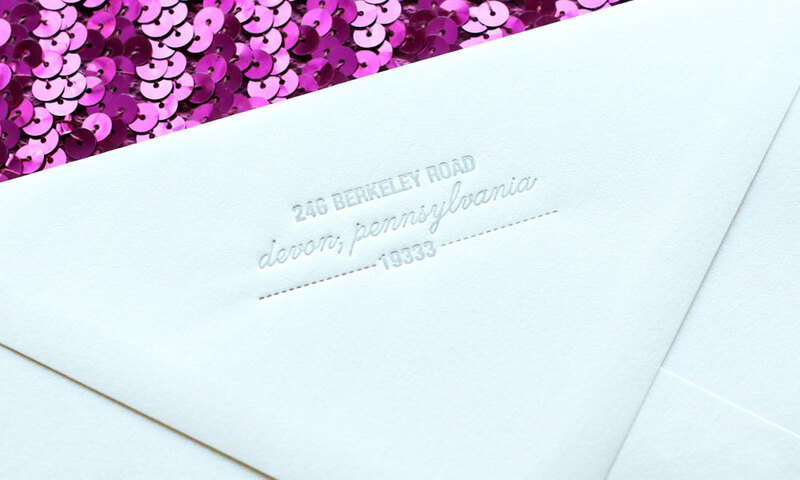 The design is flat printed on shiny white paper that gives it a glistening feel. 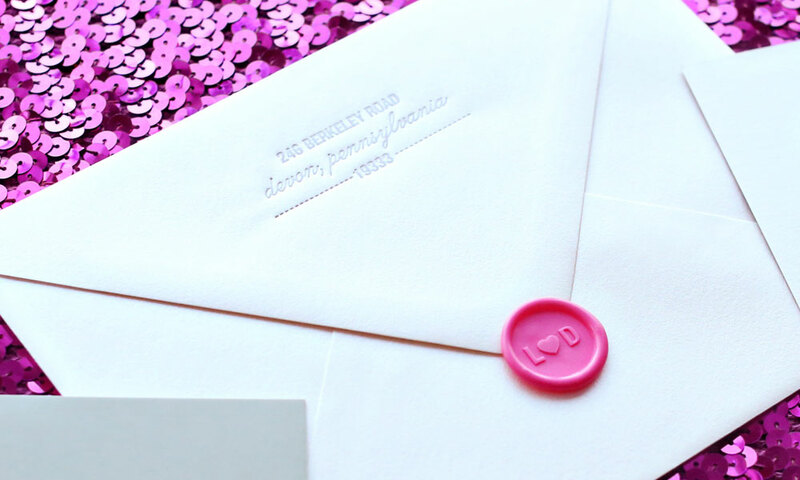 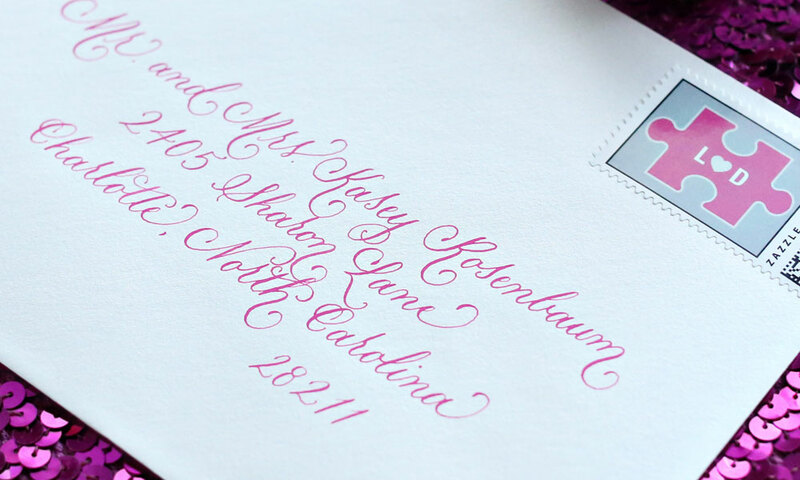 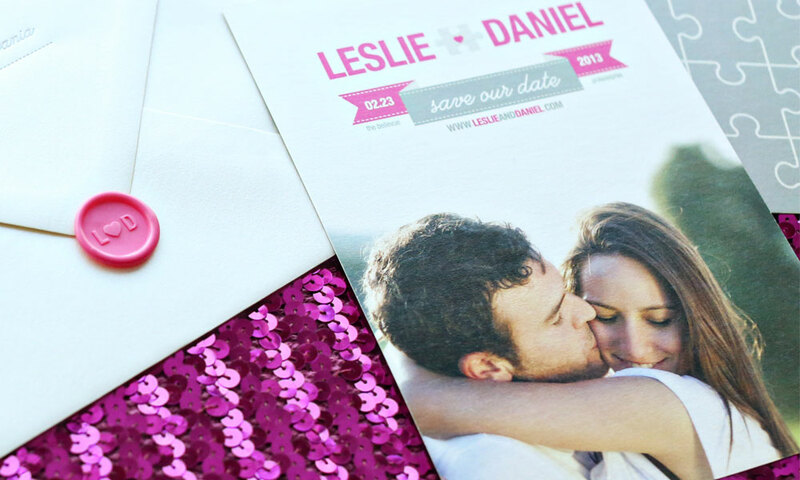 The return address is letterpressed in silver on a shiny, metallic white envelope combined with a custom pink monogram wax seal and slanted silver, handwritten calligraphy that complement the save the date’s design.